Hybrideck is a national supplier of new generation composite decking – a stylish decking solution that creates beautiful outdoor areas that instantly adds value to your home. Inspired by nature, our composite decking materials feel like timber, but require minimal maintenance. 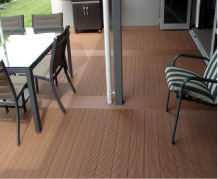 Hybrideck composite decking products will last a lifetime. Best of all, composite deck boards offer a truly sustainable alternative to traditional hardwood timber decking. 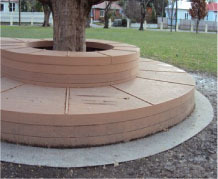 Hybrideck’s top quality wood composite decking is made from recycled wood and plastic materials. It won’t crack, warp or splinter and just keeps on looking great. If functional good looks, competitive pricing and caring for the environment matter to you, Hybrideck composite decking boards is your solution. 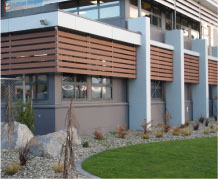 Hybrideck composite decking materials are specified by architects, recommended by builders and highly sought by home owners. We are composite decking specialists, providing a range of accessories plus friendly advice about care and maintenance, and composite decking installation. 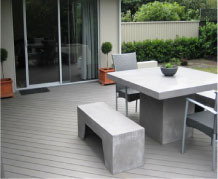 To discover more about Hybrideck composite decking products, check our FAQs page or contact us on 0419 811 842.